Last Friday, when I arrived in Miami from Havana, Cuba, I was pleasantly surprised to see this in my inbox. 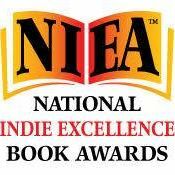 You are a Winner in the 10th Annual National Indie Excellence Awards in the category of Self-Help-Motivational for When All Balls Drop. Your powerful story truly embodies the excellence that this award was created to celebrate. We salute you and your fine motivational book. You can check out my award as well as other winners, here. So grab a cup a coffee, glass of wine, or a mojito and join me in this celebration and another accomplishment. Viola! I've received +100 reviews on Amazon for When All Balls Drop. Have you added yours?